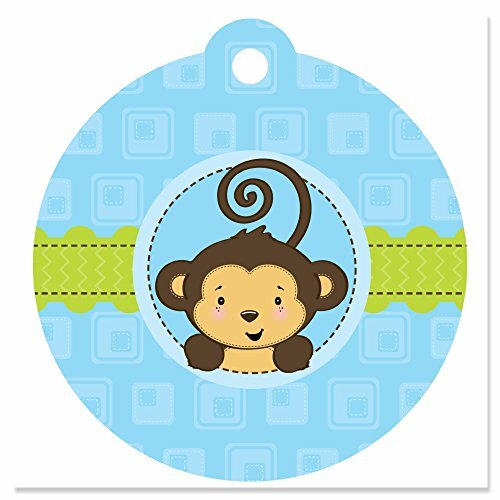 Our Monkey Boy round card stock baby shower or birthday party favor gift tags come in sets of 20 and arrive ready to be used! Cut in a cute round design, these are not your ordinary party favor gift tags. Simply insert a ribbon in the pre-punched hole and tie to any gift, party favor, and so much more. Perfect for the do-it-yourself crafter or as the final touch to a pre-purchased party favor, these loot bag favor tag will add the adorable touch you've been seeking for any celebration! Measuring 2 ½ inches in diameter, they are printed on a high quality satin card stock paper. The design will pop with a photo like finish. Get ready to wow your friends, family and guests when you add that extra little touch with our party favor tags! 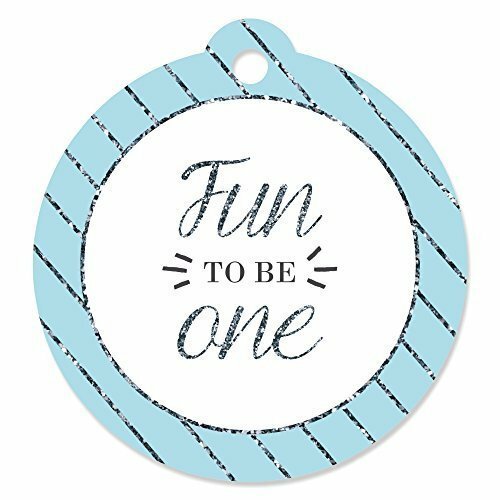 Our 1st Birthday Boy Fun to be One round card stock birthday party favor gift tags come in sets of 20 and arrive ready to be used! 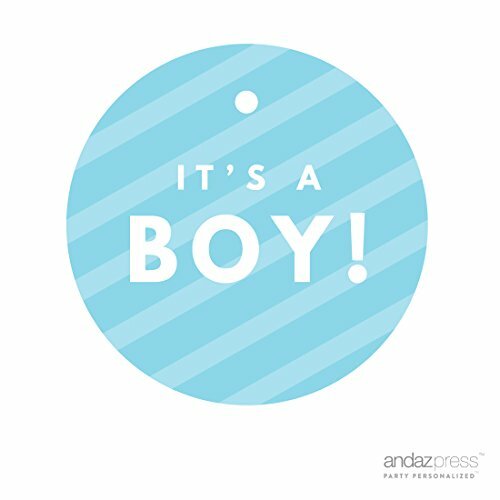 Cut in a cute round design, these are not your ordinary party favor gift tags. Simply insert a ribbon in the pre-punched hole and tie to any gift, party favor, and so much more. Perfect for the do-it-yourself crafter or as the final touch to a pre-purchased party favor, these loot bag favor tag will add the adorable touch you've been seeking for any celebration! Measuring 2 ½ inches in diameter, they are printed on a high quality satin card stock paper. The design will pop with a photo like finish. Get ready to wow your friends, family and guests when you add that extra little touch with our party favor tags! 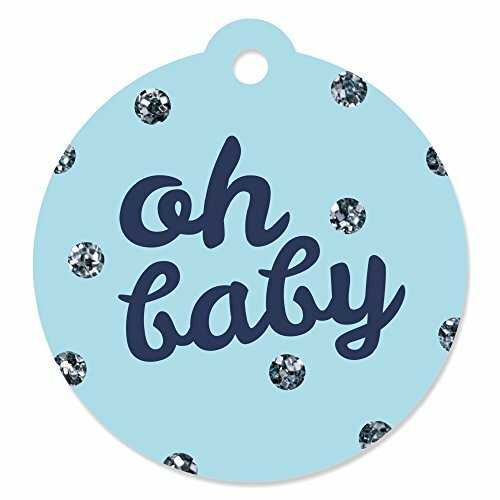 Our Hello Little One - Blue and Silver round card stock baby shower party favor gift tags come in sets of 20 and arrive ready to be used! 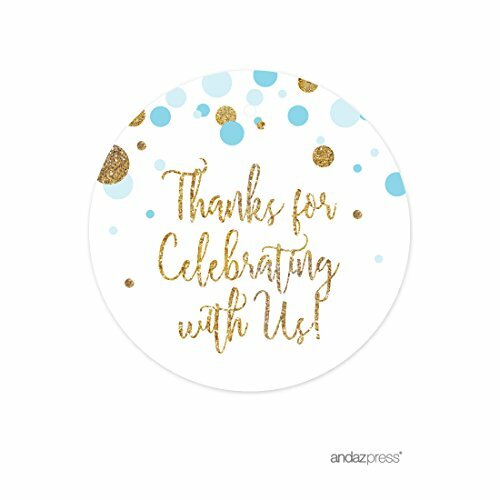 Cut in a cute round design, these are not your ordinary party favor gift tags. Simply insert a ribbon in the pre-punched hole and tie to any gift, party favor, and so much more. Perfect for the do-it-yourself crafter or as the final touch to a pre-purchased party favor, these loot bag favor tag will add the adorable touch you've been seeking for any celebration! Measuring 2 ½ inches in diameter, they are printed on a high quality satin card stock paper. The design will pop with a photo like finish. Get ready to wow your friends, family and guests when you add that extra little touch with our party favor tags! 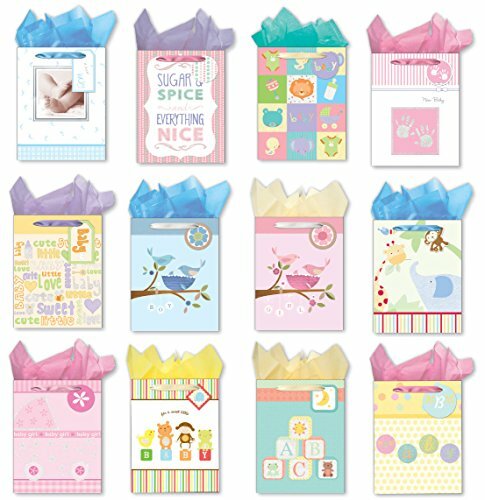 A beautiful set of baby shower gift bags with tags and Tissue paper. 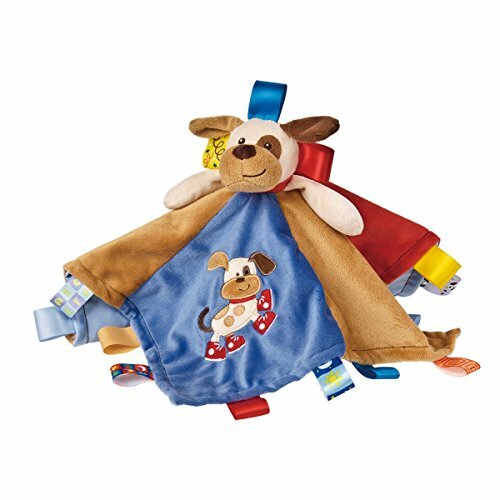 Never get caught without a gift bag especially during those busy times. 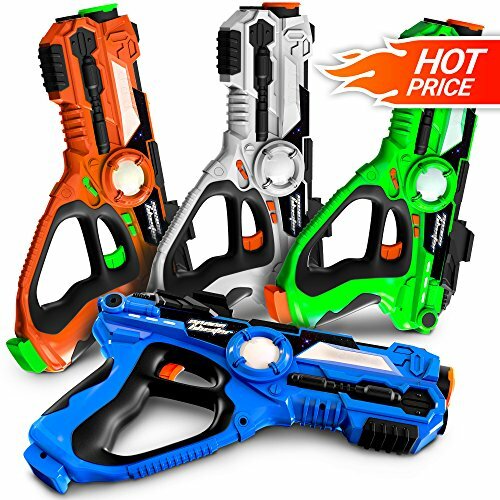 A great and convenient way to gift a present to someone! 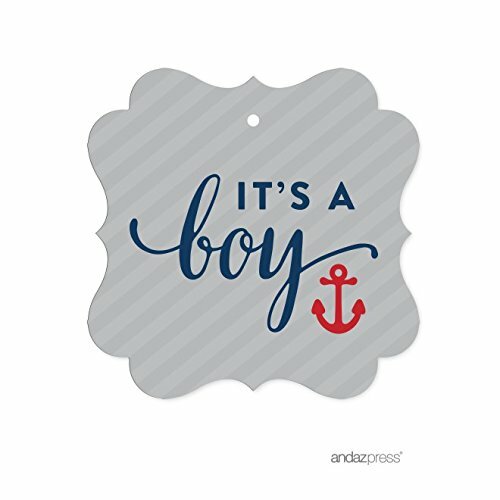 Compare prices on Boy Gift Tags at ShopPlanetUp.com – use promo codes and coupons for best offers and deals. We work hard to get you amazing deals and collect all available offers online and represent it in one place for the customers. Now our visitors can leverage benefits of big brands and heavy discounts available for that day and for famous brands.